"untitled #3" is on Burque Luv 5 - left disc, track 14. anyone who goes to [ @ www.warmthrillofconfusion.com in ] and downloads and reviews 3 or more tracks will receive a free copy of sampler2003ep.v2, for a limited time! This band was added to our database on June 22, 2003, and the band's information was last updated 13 years ago. SCG is responsible for keeping this band's information up to date. This page has been viewed 10062 time(s). 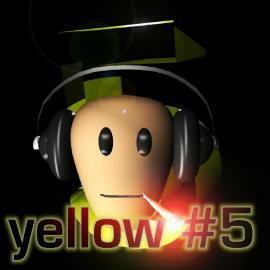 Play all of yellow #5's songs. "untitled #3 [burque luv five left]"
© copyright 1993-2007 by fearstudios.com ( 186324351+158ms ). All Rights Reserved. Report a bug or make a suggestion.